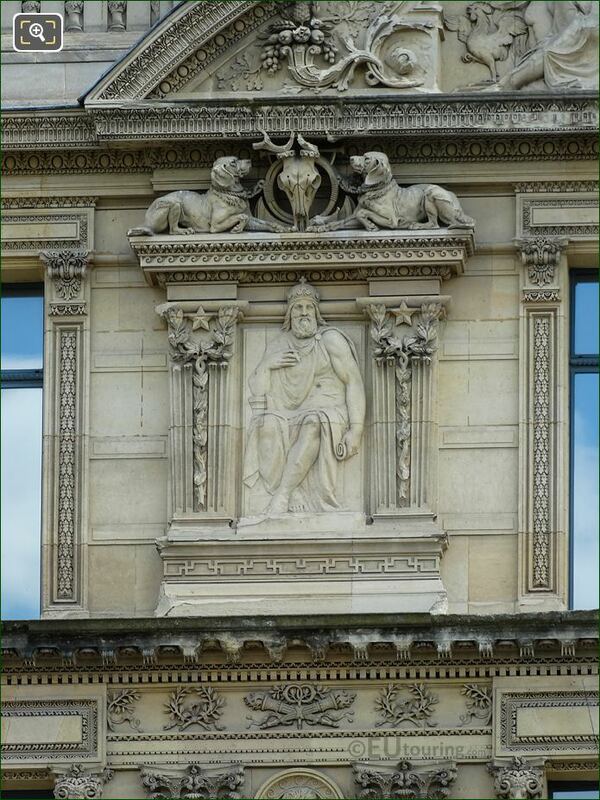 We were again at the Musee du Louvre in the 1st Arrondissement of Paris, when we took these high definition photos showing a bas relief sculpture called Charlemagne, which was produced by Mme Bertaux. 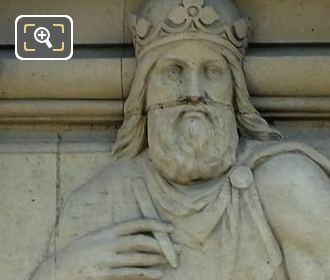 This first HD photo shows a bas relief sculpture depicting Charlemagne, also known as Charles the Great, who was King of the Franks that united much of Europe serving as the first Holy Roman Emperor, and this low relief was produced in stone in 1878 for the Aile de Marsan facade of the former Palais du Louvre. 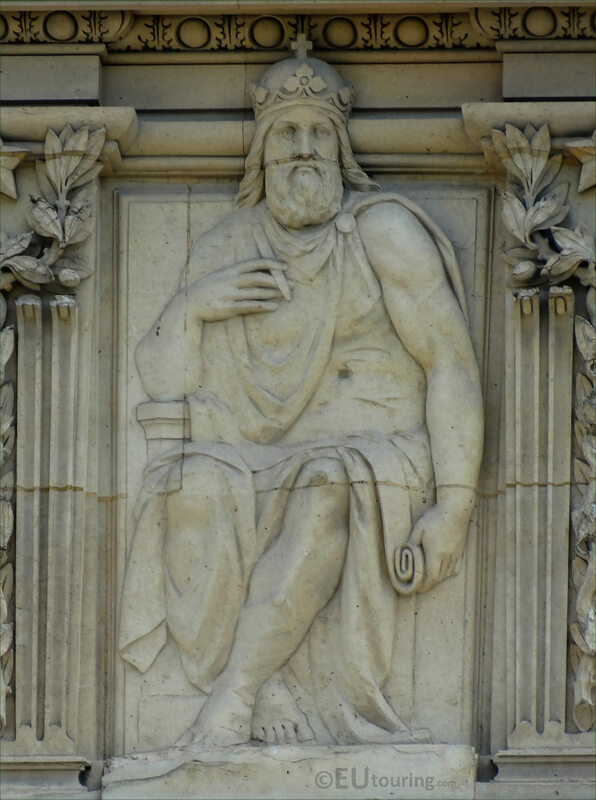 Now this particular bas relief sculpture of Charlemagne was produced by Mme Bertaux, who was born in 1825 as Josephine Charlotte Helene Pilate with her father being the sculptor Pierre Hebert where she initially studied in his workshop, becoming a sculptor herself, but in the 1800s, women were viewed as models for art and not artists themselves, so she used a different name when first presenting works. 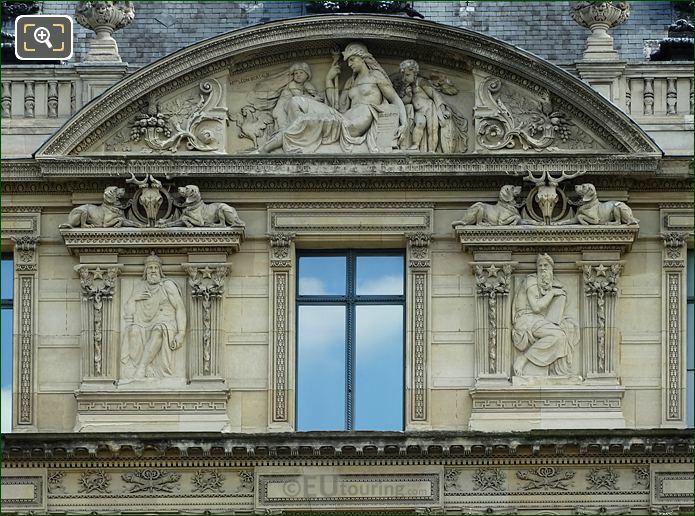 Later in her career she would sign her works Mme Leon Bertaux, which was the name of the person she married, although she is also known as Helene Bertaux, and it was through her efforts that eventually females were allowed to be admitted to the Ecole des Beaux Arts, which up until 1897 was only for men, however, she was also well recognised and received many commissions including this one of Charlemagne at The Louvre. 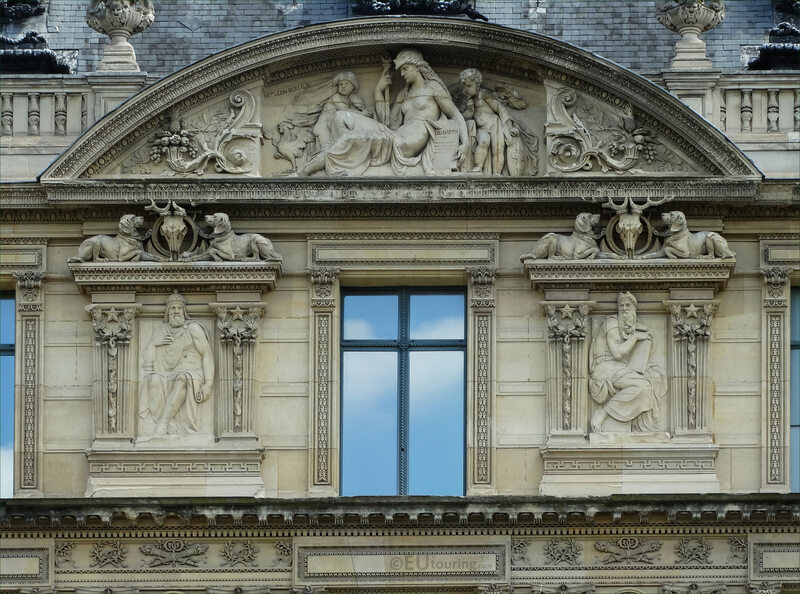 So when you are in the courtyard of the Louvre Museum called the Cour du Carrousel, you can see the facade of the Aile de Marsan, and as you are looking at this wing, you can see the sculpture of Charlemagne on the third level, positioned to the left hand side of the fifth window below the pediment, which was also sculpted by Mme Bertaux along with the low relief to the right that was also by Helene.